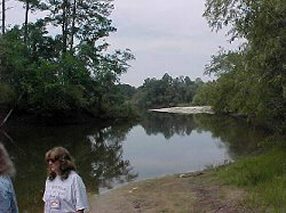 This is the beautiful, quiet, peaceful Ochlocknee River outside of Pavo, Ga. It's just on the other side of Egg and Butter Road.... Right Marge? 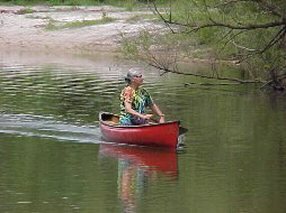 Once Marge put her canoe in the water she had to paddle for a few minutes. 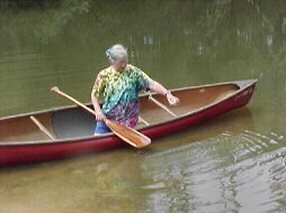 You could sure tell Marge was relaxed and at home on the water. Marge was also looking for the right spot to share Mike with the river. Where ever Marge goes she carries a small container of her son Mike's ashes with her. In this picture she not only showed us the container she brought, but also introduced her son Mike to us. 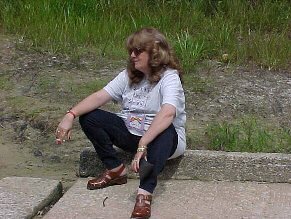 Marge decided to share mike with the Ochlocknee River at the boat ramp. 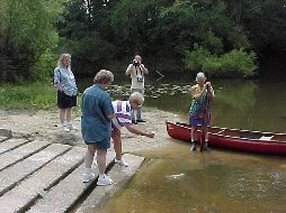 Here Marge is placing some of Mike's ashes in the river. It was a solemn moment for us all as we watched Mike's ashes and the river being joined together. 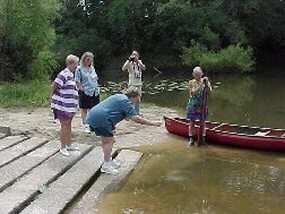 After Marge shared Mike with the river, she gave others an opportunity to also share Mike with the river. This is Patty Jacobs sharing a little of Mike with the river. Carol Pettersson also shared a little of Mike with the Ochlocknee. 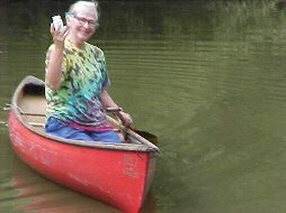 And of course our beloved Karyl also shared Mike with the river. Carol LaBonte watches as Mike's ashes are joined with the river. 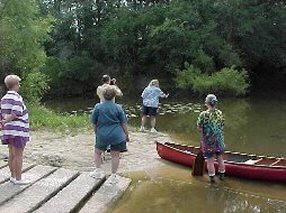 Karyl watches as Marge does her paddling. 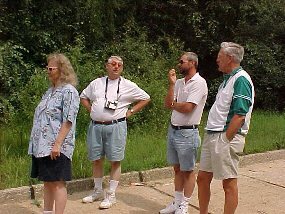 Karyl's husband Ron, Carol LaBonte's husband Ken, and Patty Jacob's husband Logan Talk about the Ochlocknee River and surrounding area. are now joined together forever.